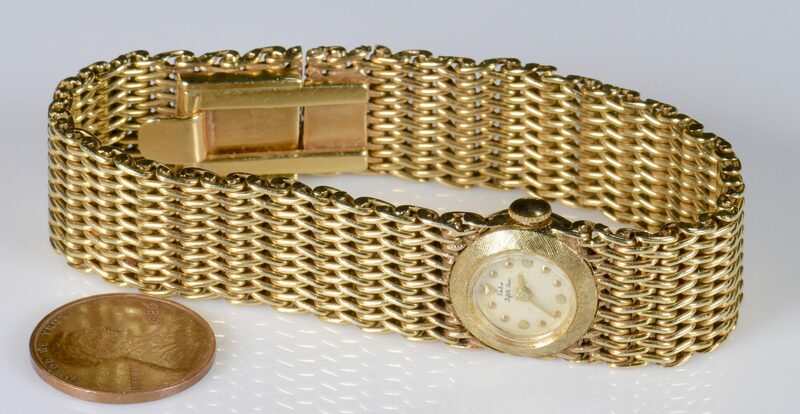 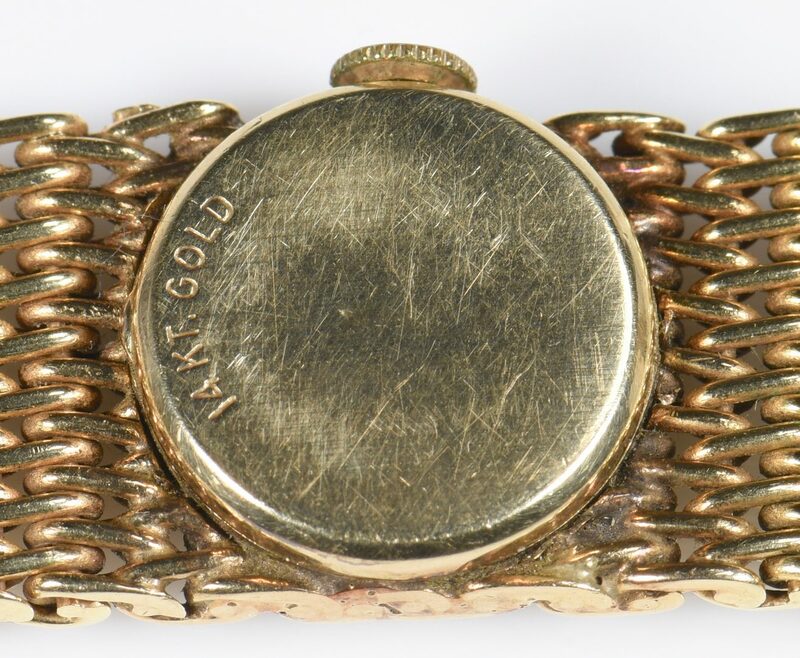 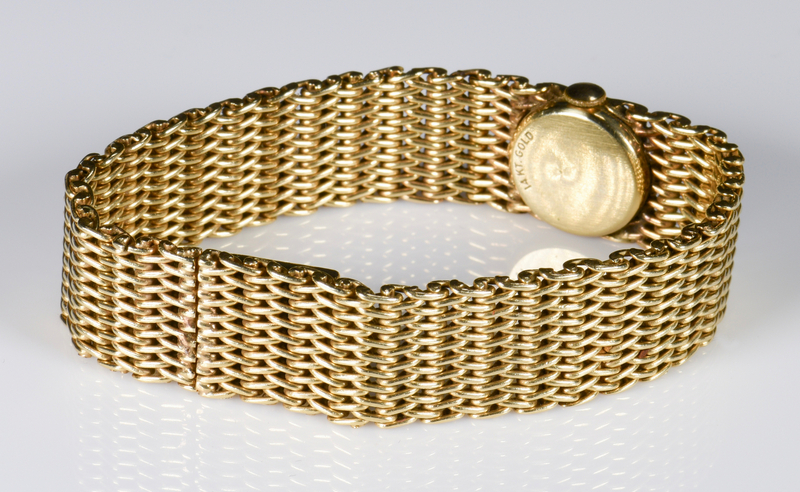 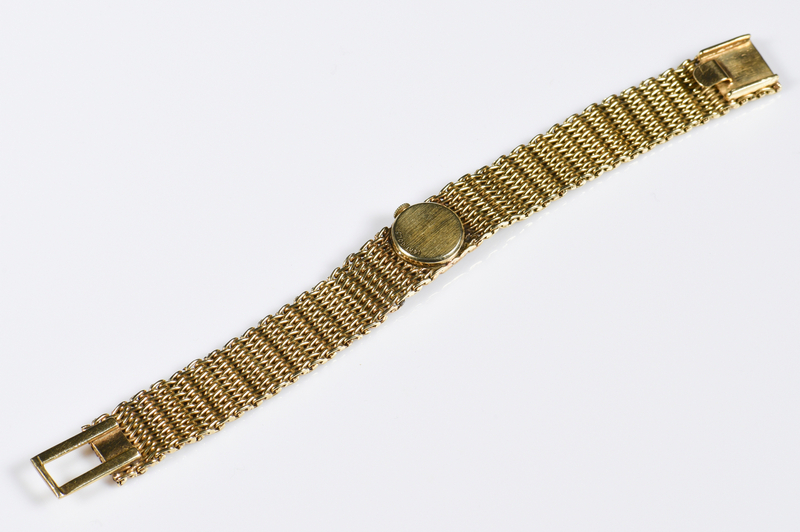 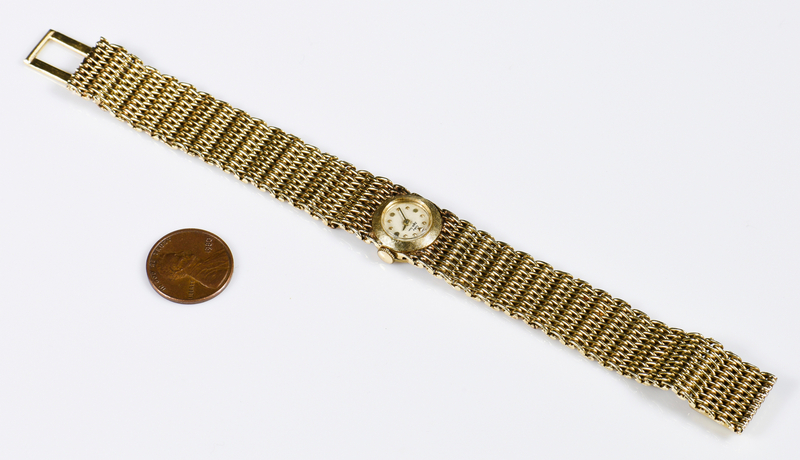 14K yellow gold bracelet watch by Saks Fifth Avenue, with hidden clasp, 6 3/4" L x 5/8" W. Marked 14K. 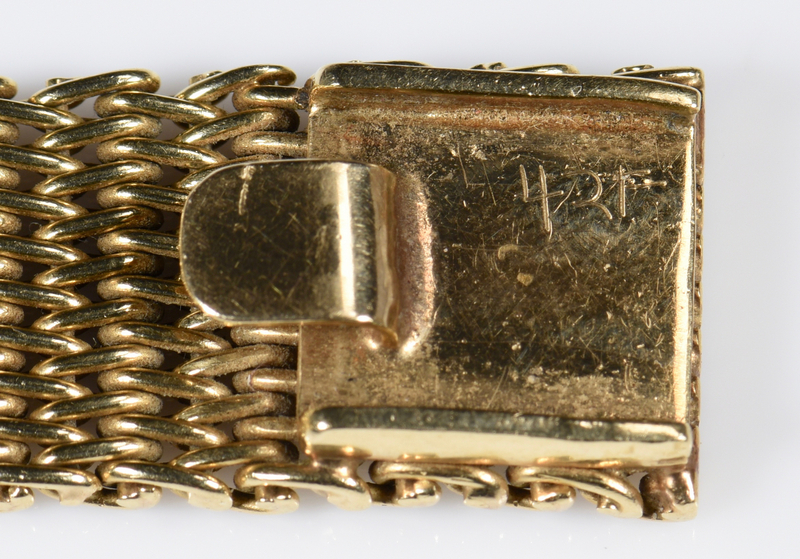 49.6 total grams. 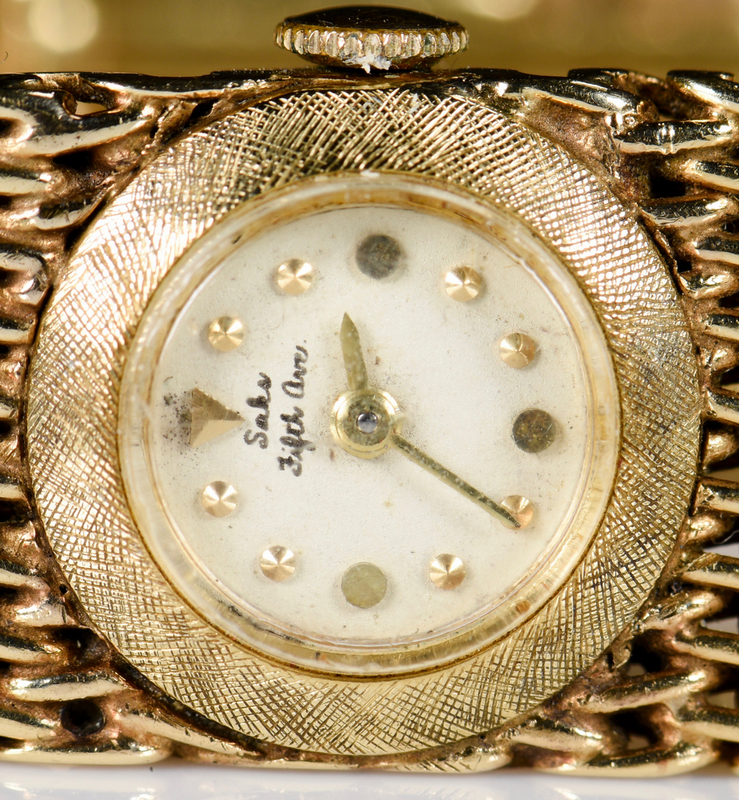 CONDITION: Not in working condition. Chips and scratches to face.